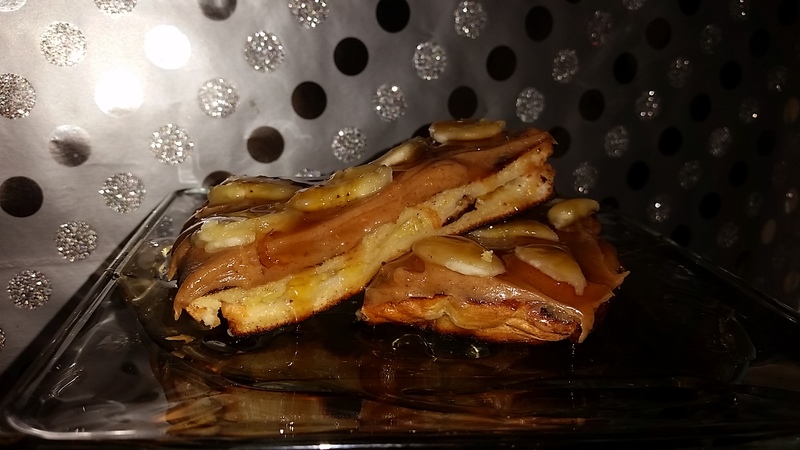 I saw this delicious recipe over at Will Cook For Smiles as I was looking through some sites the other day. 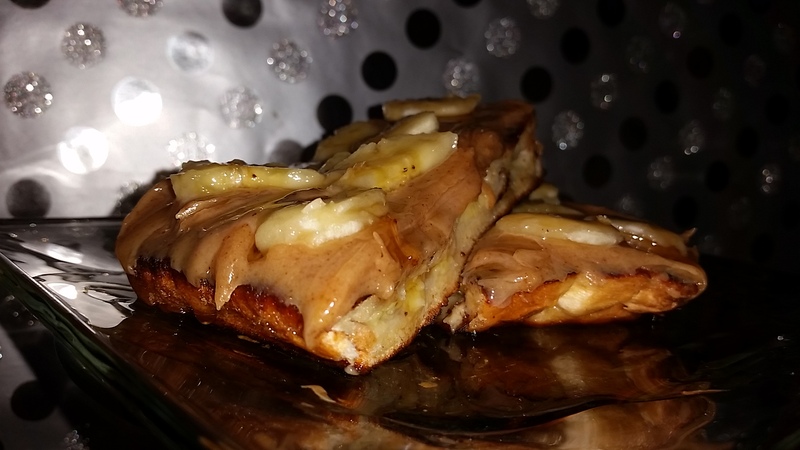 I thought to myself “I like bananas, and I like French toast, and I can live with peanut butter” so I decided to give this recipe a shot. The great thing about it was I had all the ingredients right at home! Of course, I changed some things since I was working with what I had a home. 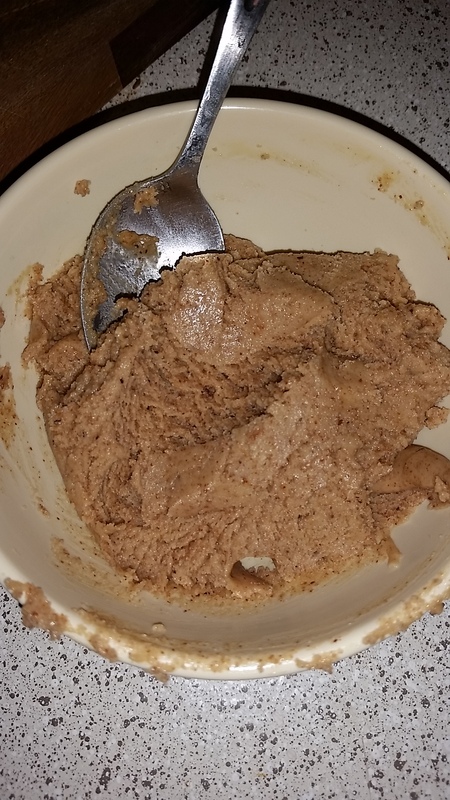 Instead of peanut butter, I used raw almond butter. For honey, I used organic raw blue agave, because I personally like it better. 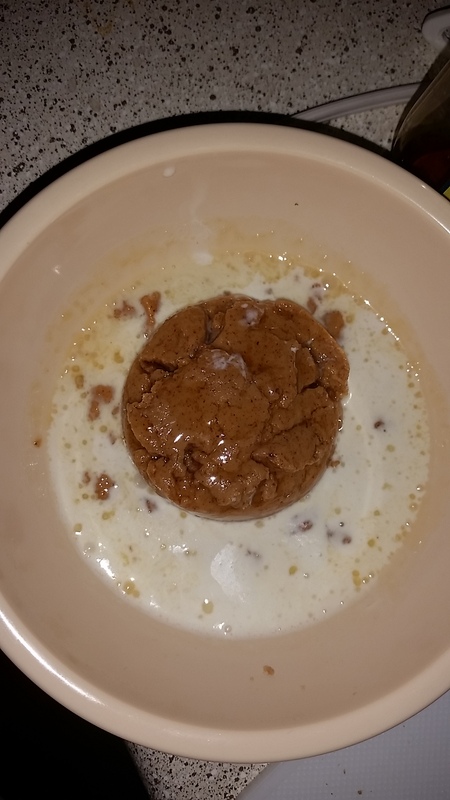 And for the milk, I used heavy whipping cream because that was all I had at home. 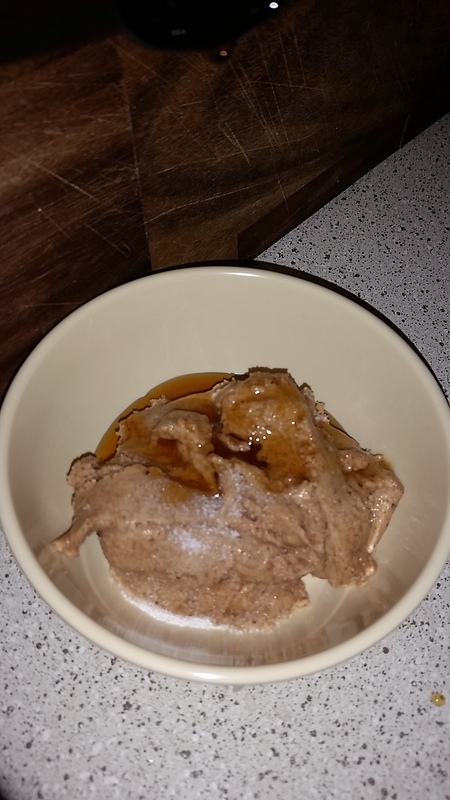 For the raw almond butter, I used this recipe I found on The Rawtarian. 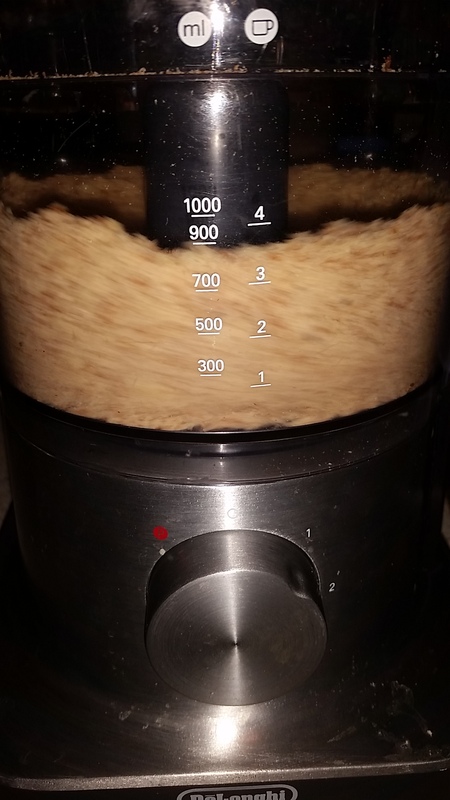 I had to adjust it because I’ve never used raw almonds before and I didn’t like the texture and how it came out. Do not add any water or anything else! It will look dry, but I promise you that……. 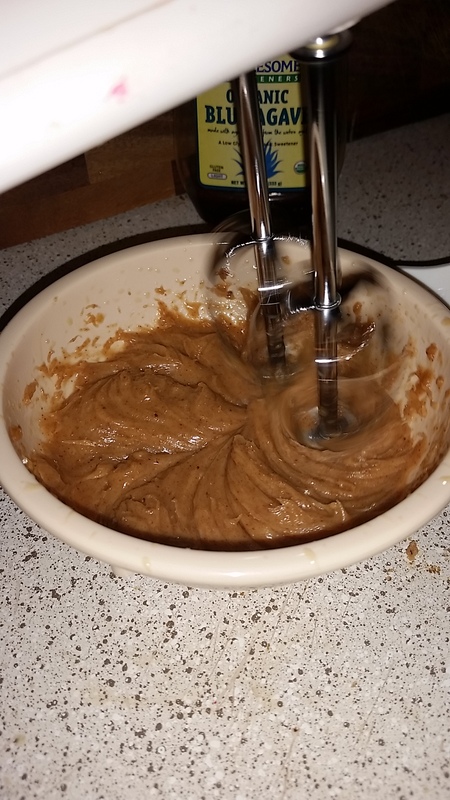 the mixture will start to clump together and eventually smooth out into the buttery goodness that is almond butter! 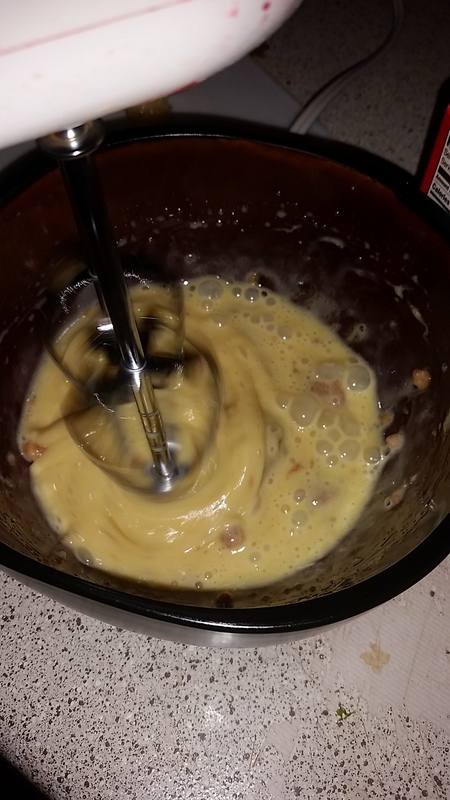 After it becomes a smooth consistency, place the mixture into a bowl. 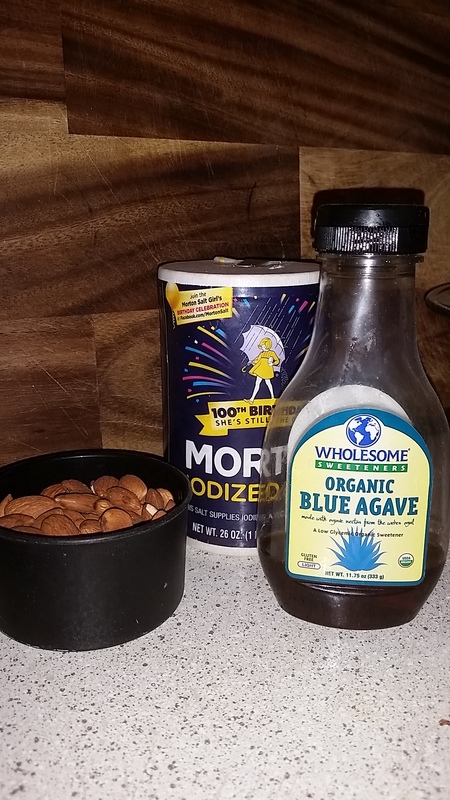 Add Organic Raw Blue Agave and pinch of salt to the mixture and mix with a spoon. 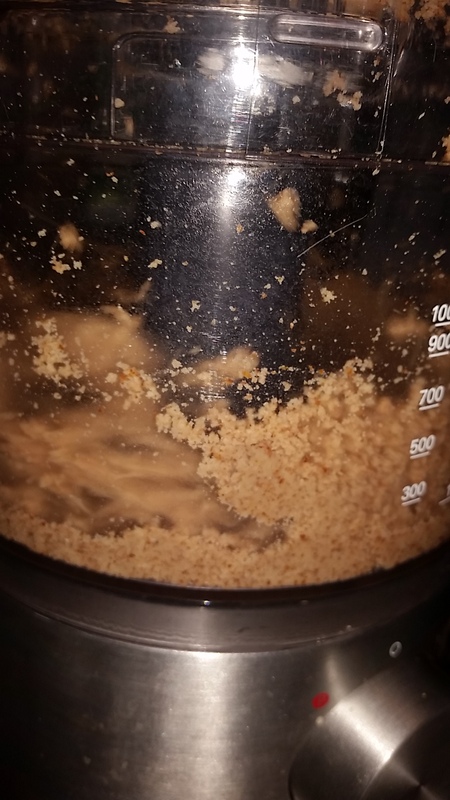 So put it back into the food processer and mixed it until it was the smooth and creamy consistency that I was looking for. Depending on your tastes, some people will like it thicker and some will like it smoother. I’m a smooth person myself! 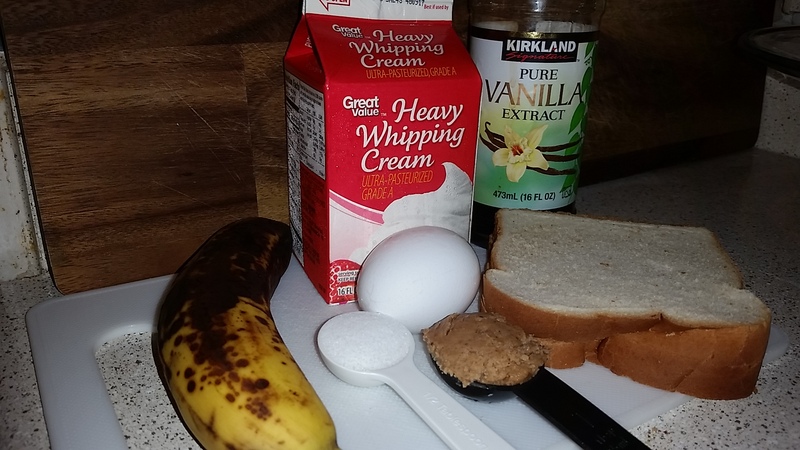 As I wait for the almond butter to finish, I started to gather all the ingredients for the French toast. 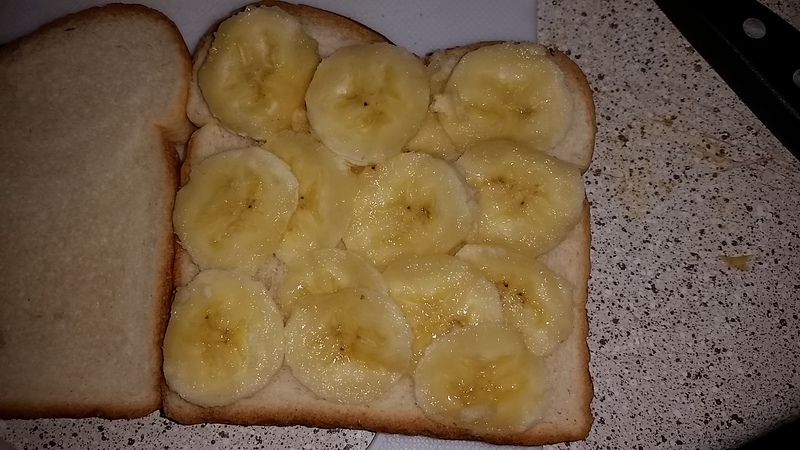 I sliced ¾ banana and placed the banana slices on a slice of bread before placing the second slide of bread on top and pressing them together. 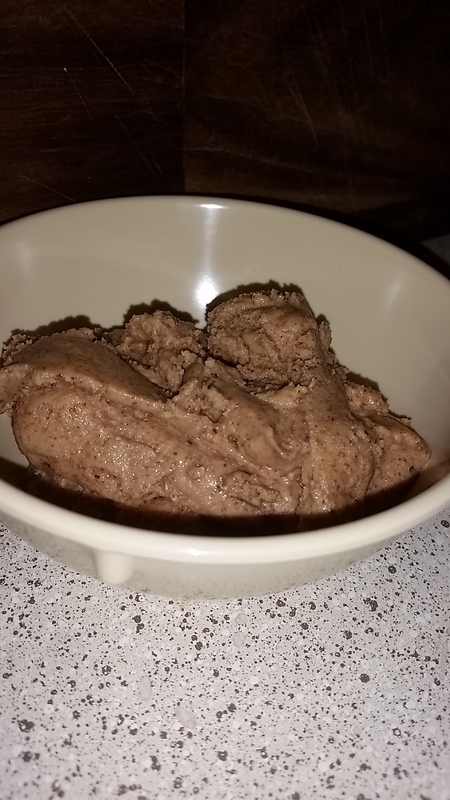 In a bowl, I placed the finished almond butter, egg, heavy whipping cream, vanilla extract, and sugar together ad used a hand mixer to mix the ingredients together. Place the stuffed bread in the mixture and let it coat the bread thoroughly on both sides. While waiting for the bread to soak up the mixture, heat some virgin olive oil in frying pan over a medium heat. 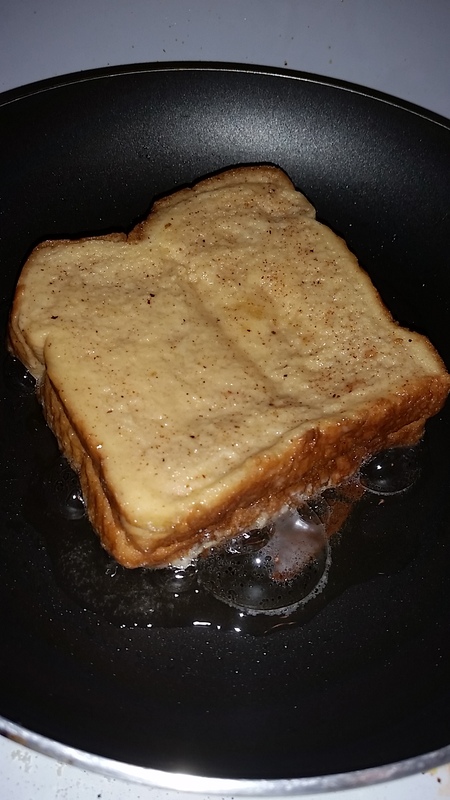 Place the stuffed bread in frying pan and cook on both sides until golden brown. Be careful as different stoves cook at different rates. 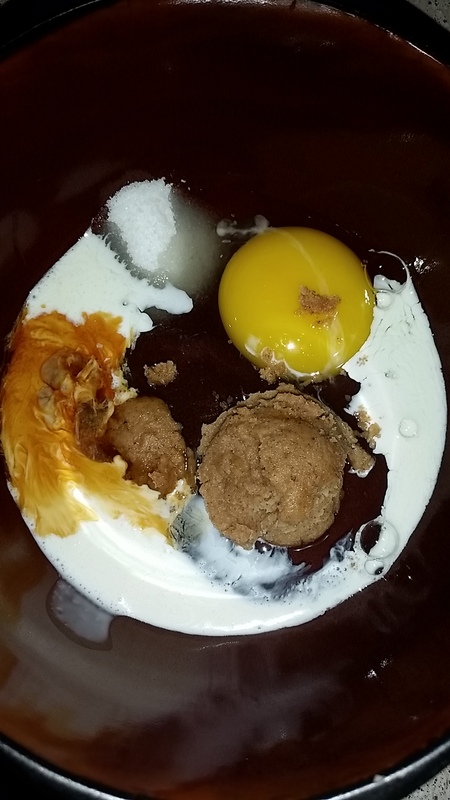 Place the bowl in a microwave for 30 seconds before using a hand mixer on low to mix the ingredients together until it is smooth. 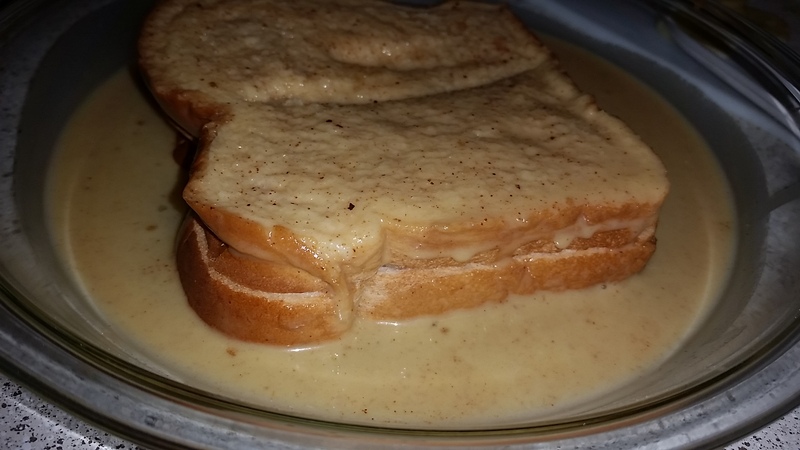 Place the almond butter sauce on top of the stuffed french toast until it covers the top completely. 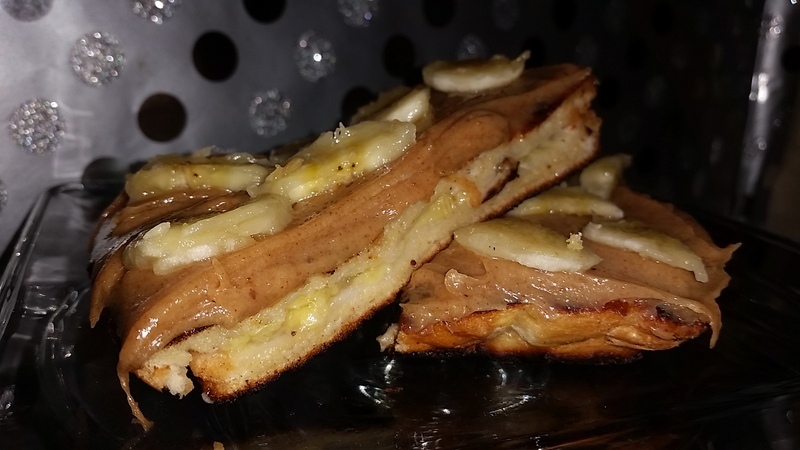 Cut in half and coat the top with the remaining banana. 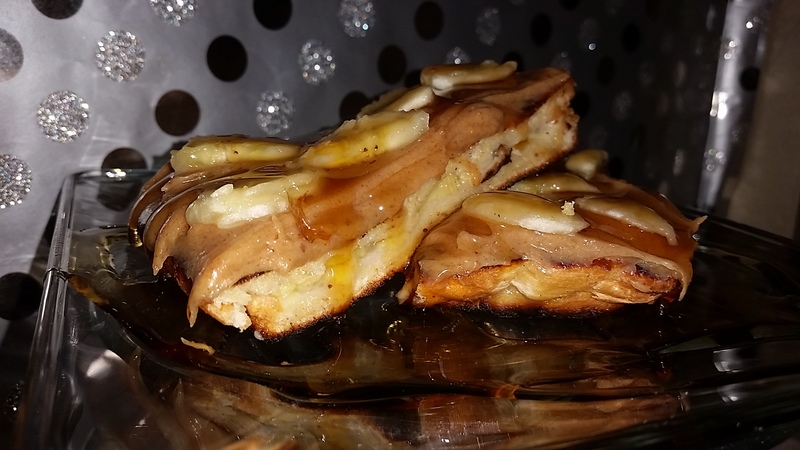 I decided to use sugar free syrup to coat because a girl can only use so much blue agave! Pick up a fork and enjoy!